Every chef dreams about getting the highest reward in the world for his perfect food servery. Make sure you get all three Michelin stars within the 14 days of your hard work. 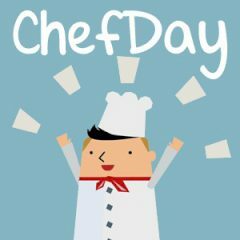 Chef Day is the game, that will show you how hard it is to get three Michelin stars. It's a reward for the perfect servery and food quality to the restaurant, so if you want to achieve that, you must deliver only the best. Make sure your food is good and the products you use are top quality.